As we celebrate the 45th United Arab Emirates National Day, we take pride in this year accomplishments with over 9 new released Armored Vehicles including 3 APCs designed and built in our unique Dubai factory – a “Made in UAE” quality stamp which reflects the excellence we achieve in producing, designing our Armored Vehicles and always looking at ways of improvement. 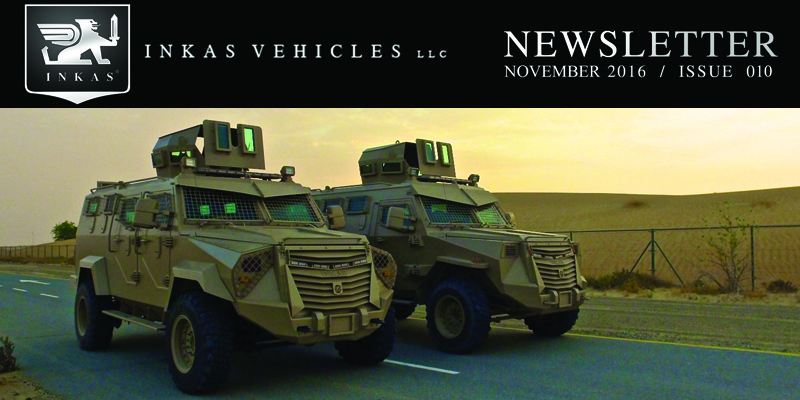 Inkas Vehicles has developed a new APC range based on the iconic Inkas Titan APC. 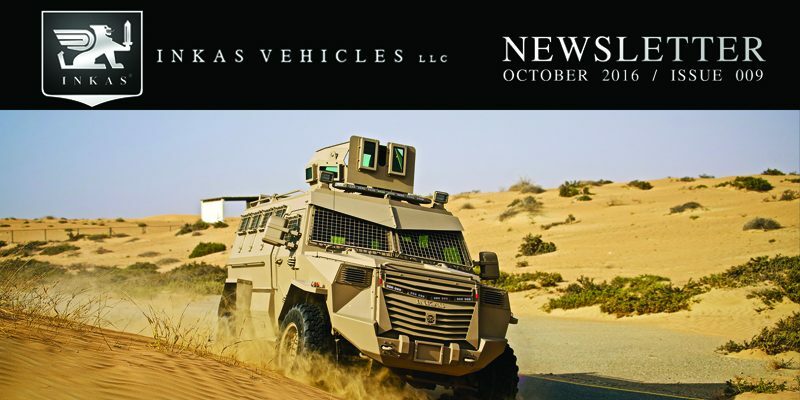 The Inkas Titan APC and Inkas Titan-V APC are both based on the Ford F550 chassis while the most recent release is based on the Toyota Land Cruiser 79 chassis offering the smaller APC version of the Titan family making this armored vehicle easy to drive in narrow places. Available in B6 or B7, the Inkas Titan Family is working on its 4th version, to be released at IDEX 2017. 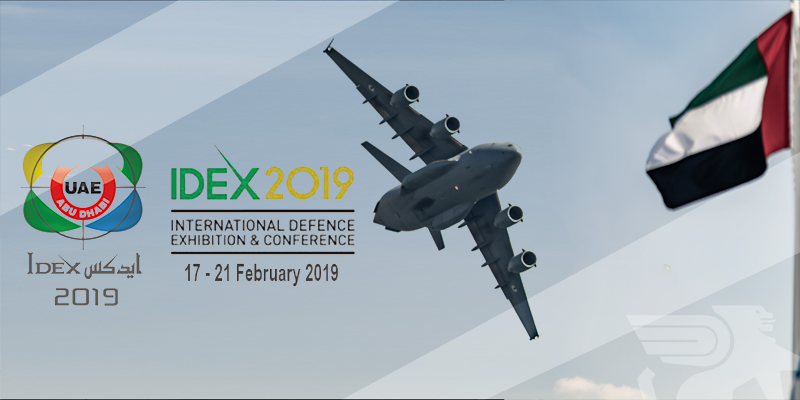 Hosted in Abu Dhabi, IDEX is the most important strategically tri-service defense exhibition in the world. Inkas Vehicles understan ds the risk that comes with serving the government and the people. We offer reliable and superior protection for the transport of government leaders, especially in hazard areas. Inkas Vehicles is the ideal partner of private security firms, governments and private clientele as our vehicles offer the best protection possible for high-profile individuals and highly valuable assets. 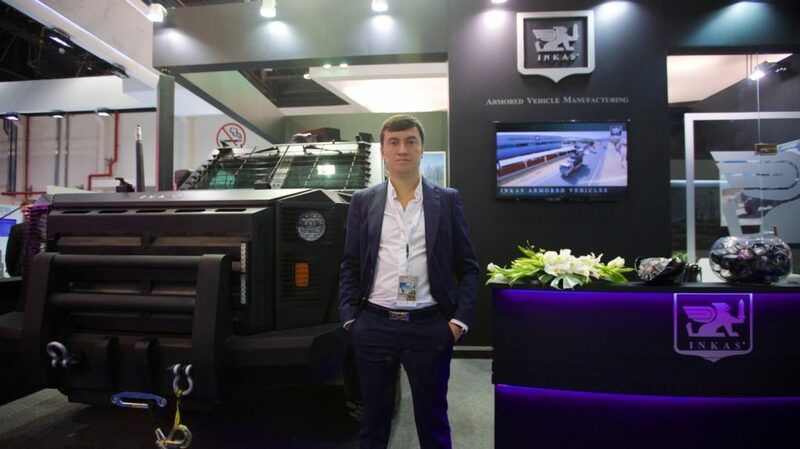 Our particularity is our personalized approach as we tailor our armored cars according to your specifications. 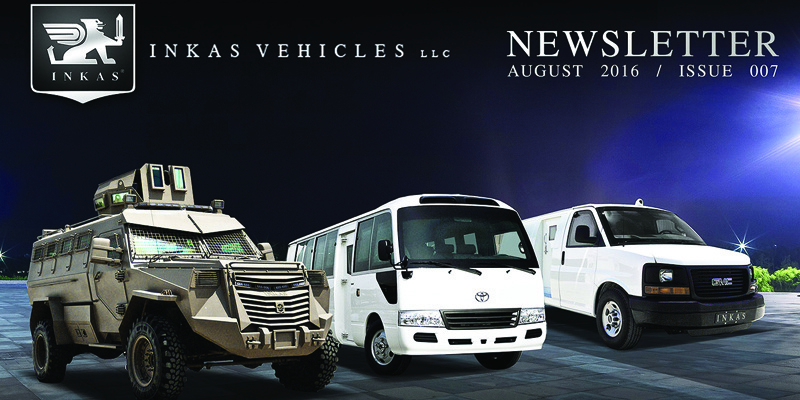 At Inkas Vehicles, we have perfected the harmony and balance of safety and luxury. Have peace of mind while enjoying a luxurious travel experience with our opulent line of armored cars. Inkas vehicles provides a 24/7 solution to its customers with tailor-made products according to their needs. 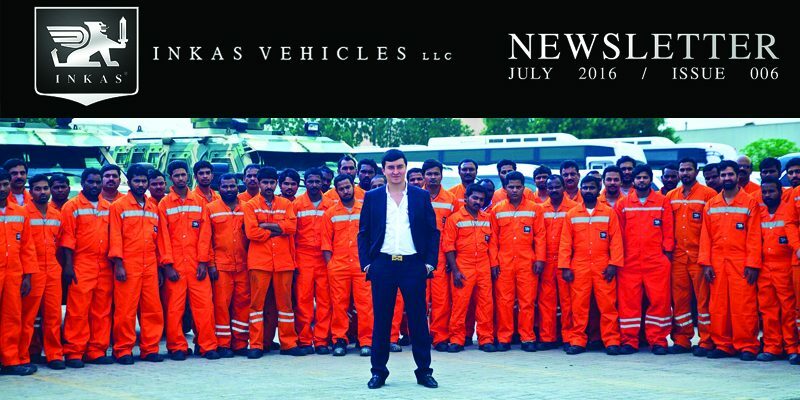 The team is passionate about the products which is why INKAS Vehicles LLC is powerful within the industry. 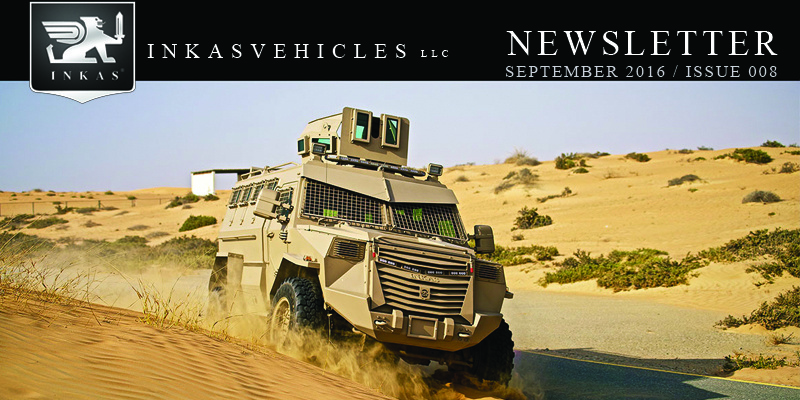 31st August 2016 – Dubai, UAE: Inkas Vehicles is excited to announce the release of its new Armored GMC Savana Cash-in-Transit Vehicle, which has been approved by Dubai Police. 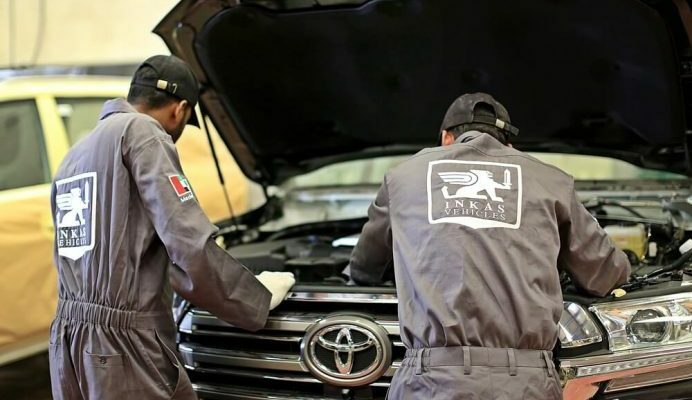 Inkas Vehicles is now able to offer a turnkey vehicle solution for safe and secure cash and valuable transport to UAE-based operators as a ‘one-stop-shop’ for a complete and approved solution. This vehicle meets with UAE governing standards and has been classed as the next generation in terms of vehicle longevity. 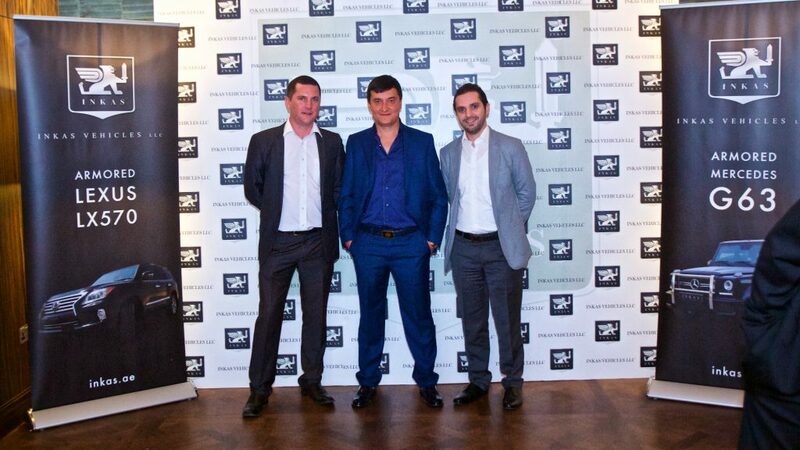 The Dubai company strives to offer a dedicated approach to its customer needs and keep on challenging its competitive environment. Inkas armored GMC Savana Cash-in-Transit also incorporates state-of-the art on-board vehicle technology systems with key features such as Internationally certified armor protection for cab, center and rear vault compartments, run-flat tire system, in-vault shelving and storage compartments, independent air conditioning system, high performance CCTV system with the ability to record and store high-quality video footage for up to 30 days, biometric access control system, with fingerprint readers and key-code door access, remote engine shutdown and extensive warranty coverage to name a few. Inkas Vehicles main objective is to be the ideal one-stop shop solution, alleviating the long procurement process of using several vendors, and so as to speed up the entire supply-chain process. With already over 20 vehicles getting shipped, this is a success with its first public announcement made few days back only. “We are proud and thrilled with the new Armored GMC Savana Cash-in-Transit vehicle, as it features the latest technology available in the market. We believe in rising above the typical standards of our local competition. 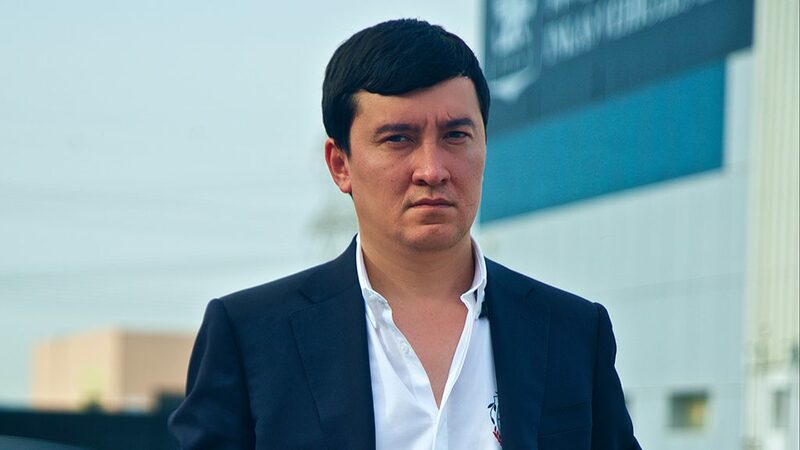 This is our second CIT vehicle to be released this year and has seen an immediate order for a further 20 units now in our production facility, following the first week of its official release.” Ulugbekhon Maksumov, Inkas Vehicles CEO. 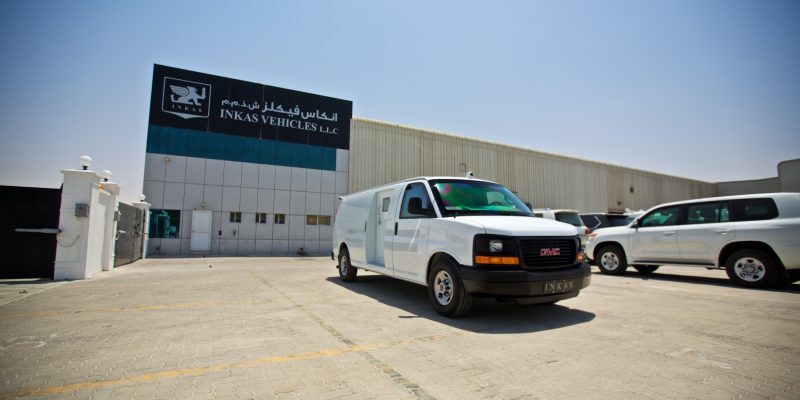 INKAS Vehicles is a licensed ISO 9001:2008 company and is recognized by government and private organizations from around the world, with its manufacturing facility and head office located in Dubai, United Arab Emirates. We understand and recognise the need to have reliable highly secure and powerful secure vehicles for transporting people and valuable items, especially in high-risk industries and areas.